Glass continues to be a popular material within architectural and interior design. Glass staircases offer a stylish solution while increasing the presence of light creating the idea of a larger space. 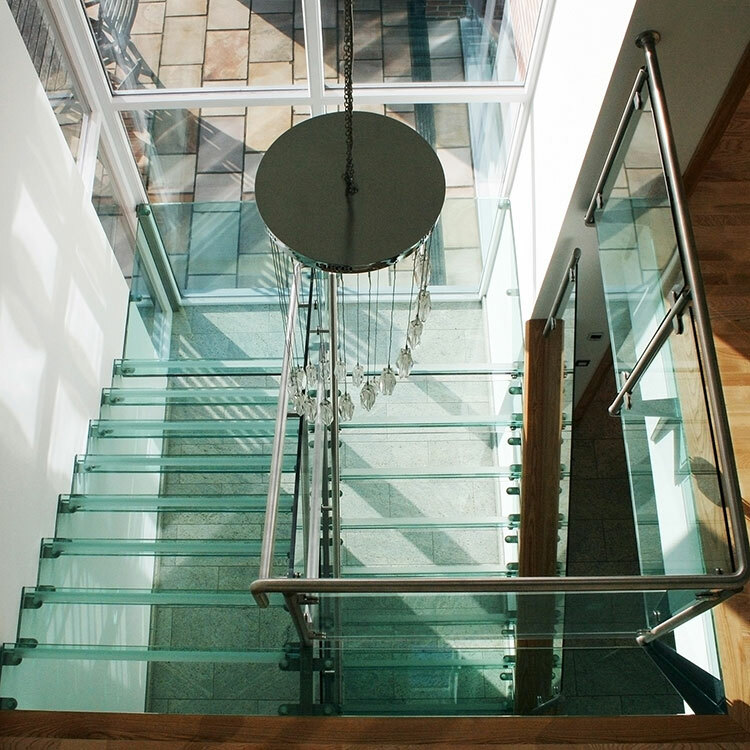 There are many ways glass can be incorporated into a staircase design. Although there can be a misconception of what you can and cannot do with glass and as a material it can often be seen as limiting. In reality, the versatile nature of glass makes it the ideal material to suit any modern home decor and in many cases can be used as a contemporary substitute for steel or timber. Frameless or ‘Structural’ Glass balustrades offer a seamless connection with minimal or hidden fixings to enhance your view from all angles. Frameless glass balustrading offers a sleek minimal contemporary look which has become an increasingly popular choice for staircase designs today. The glass balustrade thickness is kept to a minimum as it is made from structural or laminated glass. Laminated glass is two or three sheets of glass bonded together to create a strong durable material to increase the strength of the glass balustrade and comply with all necessary building regulations. Glass balustrades come with a range of finishing options such a sandblasting. Sandblasting is a process that blasts air carrying sand at a high velocity to etch the glass to achieve the frosted glass look. Through this technique patterns can be created in any shape or form to add a decorative touch to staircases, walkways and balconies. Alternatively, the frameless glass balustrade can also be tinted in a range of colours to suit any home decor. 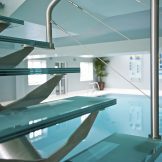 Glass balustrades are suitable for internal and external environments. The benefits of glass balustrades is that it requires minimal maintenance, only the occasional clean. Glass doesn’t rot or corrode so it makes it the ideal material for external balustrades, staircases and balconies. 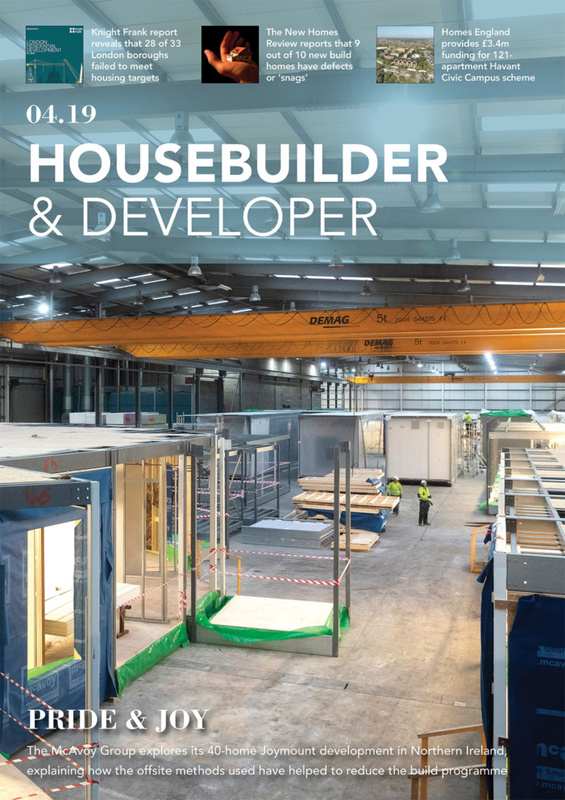 Canal design and fabricate glass partitions and frameless glass balustrades for a range of balconies, walkways and external staircases. Glass and stainless steel are both popular material for external balustrades, the advantage of glass it that it naturally compliments any material. Glass stair treads combined with frameless glass balustrades offer a clean contemporary look to suit any domestic or commercial interior. Glass stair treads are also made from multiple laminated glass panels and are able to withstand heavy loadings to comply with the necessary building regulations. The combination of an open riser staircase with glass steps enhances and maximises the light flow within the room. 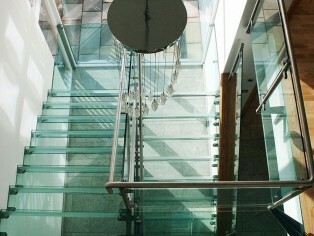 Glass staircase treads can be perceived as more of a risk to accidents such a slips and trips, this is a misconception. Each glass tread can be sandblasted to create a slip resistant surface. 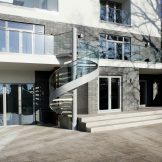 There are a range of design options when it comes to glass stair treads, the middle layer within a triple laminated glass tread can have a pattern sandblasted within each tread or alternatively the middle layer can be made with ‘cracked’ glass that adds another dimension of texture to a staircase.